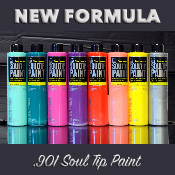 OTR 901 Soultip Paint 100ml It's our popular On The Run Soultip Paint Refill, now available in a new smaller size! This 100ml squeeze bottle features a small tip for easy refilling on the go and is a great way to try a wide range of colors without the commitment of a large bottle. 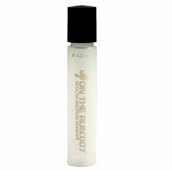 It's our popular On The Run Soultip Paint Refill, now available in a new smaller size! 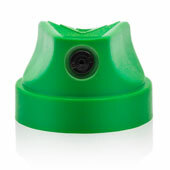 This 100ml squeeze bottle features a small tip for easy refilling on the go and is a great way to try a wide range of colors without the commitment of a large bottle. This stuff is some supreme street fluid. Stunning stuff when run through the AP 2oz mop. Best combination yet in my opinion. I mixed some colors to increase the opacity and I'm addicted, I'm about to start mainlining this sauce. Also putting it in the OTR 007 is secret agent material. Only thing is that I need to understand if I should use something to thin it out in a valve marker, such the Artprimo Hit N Go 8mm, or 15mm nib markers. 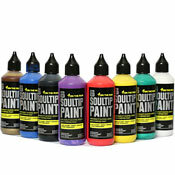 If so, what would would be best thing to use with this alcohol-based paint? Would that decrease the opacity? 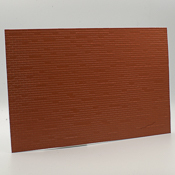 This product was added to our catalog on Monday November 13, 2017.